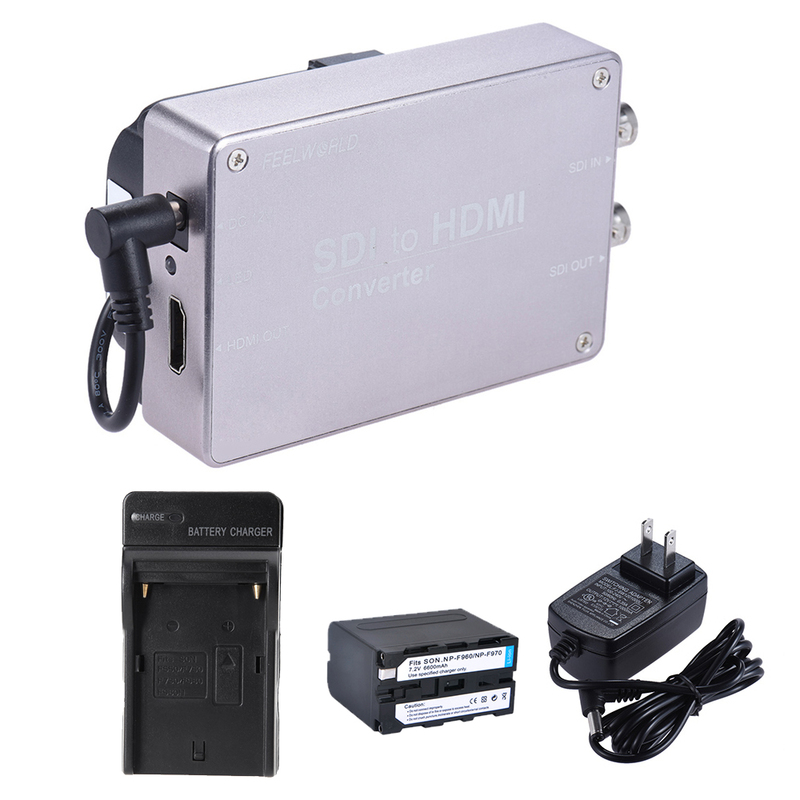 Comes with 1pcs SDI to HDMI converter, 1pcs 6600mAh battery and 1pcs battery charger. 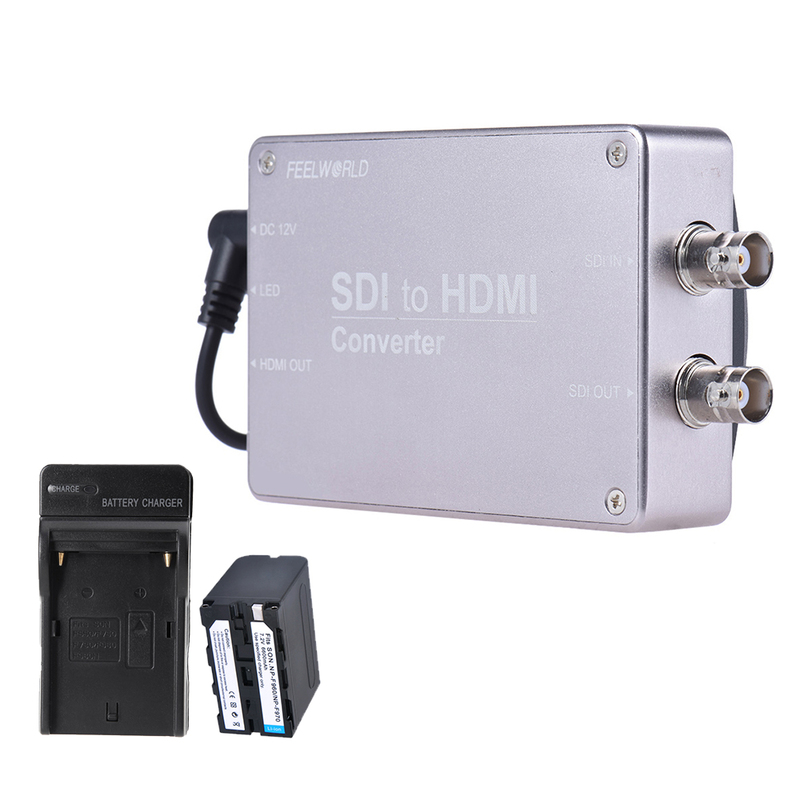 Feelworld broadcast converter supports SDI to HDMI signal conversion. 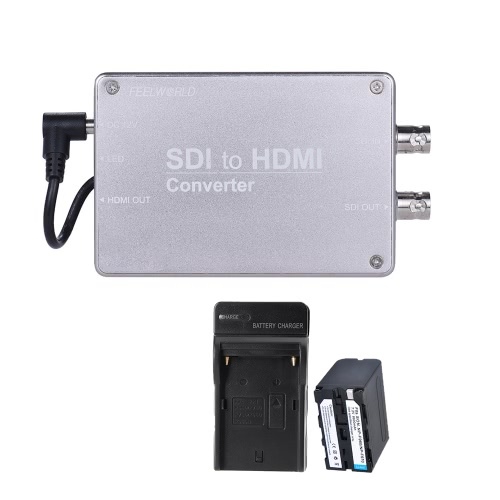 It has SDI input, SDI & HDMI output. It is complied with SMPTE 424M, SMPTE 292M, SMPTE 259M standard. Both environmentally friendly battery and battery charger have overcharge, short-circuit and over-current and overheat protection. 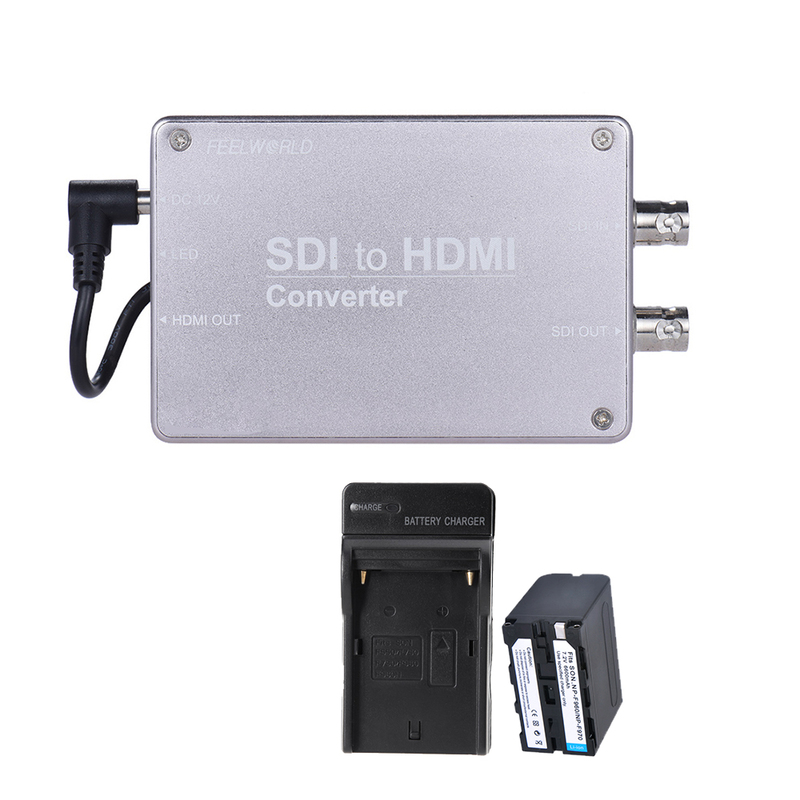 Broadcast SDI to HDMI Converter, with SDI input, HDMI & SDI output interface. Complied with SMPTE 424M, SMPTE 292M, SMPTE 259M, converse SD/HD/3G-SDI signals perfectly. Adopt advanced HD signal processing technology, support max. 100m 3G-SDI conversion. 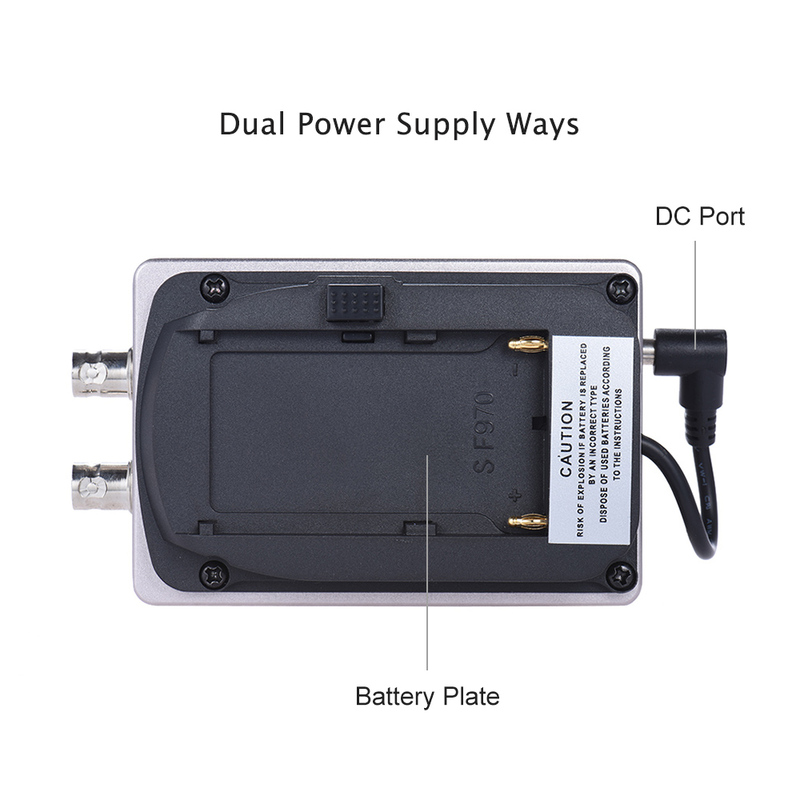 With DC port and F970 battery plate, support 5V ~ 24V input voltage. With LED indicator indicating interface status. 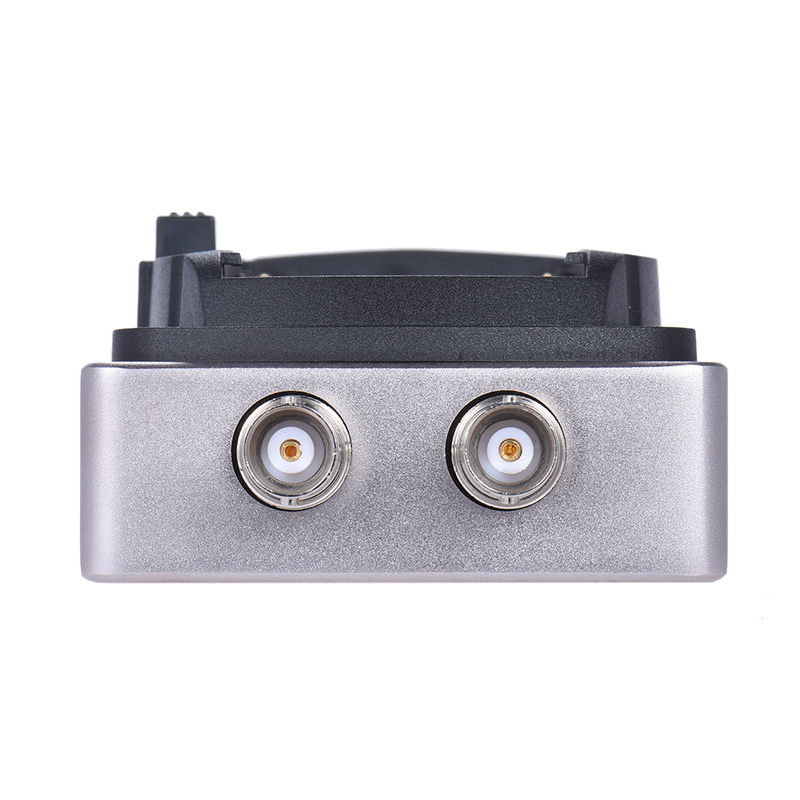 Heavy duty aluminum alloy housing, with 1/4" screw hole. Exquisite and mini size, portable for you to carry. Comes with two environment friendly 6600mAh battery and one battery charger with a foldable A/C plug. Both battery and its charger have overcharge, short-circuit and over-current and overheat protection. 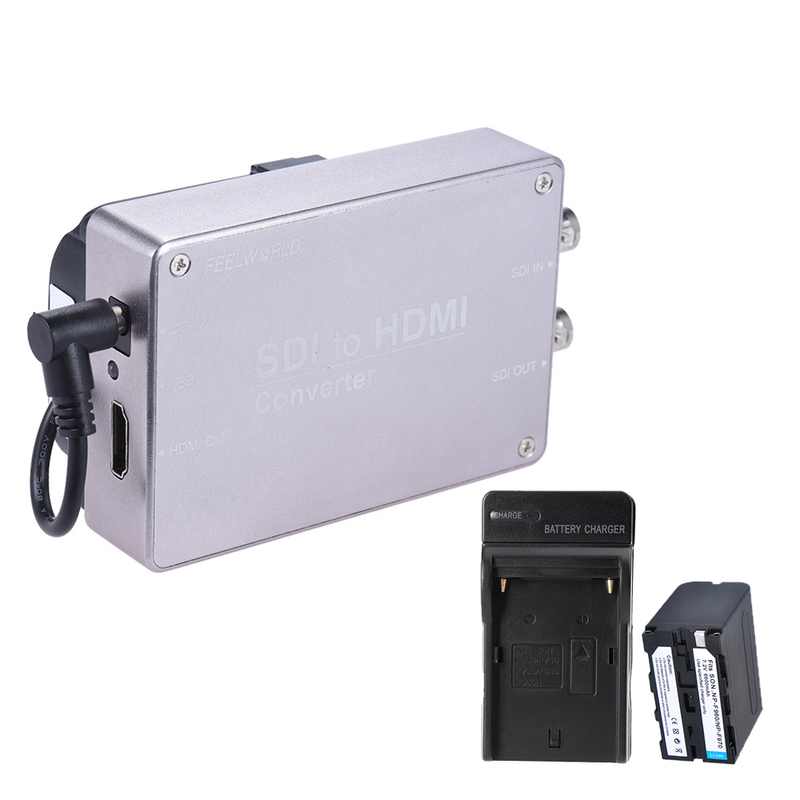 Can be applied to fields like video conference system, multimedia signal broadcast, radio and television program production and broadcast, SDI/HDMI signal extension and video security monitoring field and etc. Equipment and devices are for reference only.